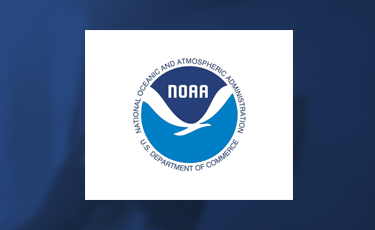 The National Oceanographic and Atmospheric Administration’s (NOAA) Social Sciences Branch (SSB) serves a vital function in bridging the gap and ensuring the right balance between our coastal fishing communities and our limited natural fisheries resources. The SSB includes a team of both social scientists and economists who examine the needs of fishermen, their fragile communities, and the nation’s economic needs. This view is integrated with the work of the other NOAA biologists who study the sea environments and the fishery stocks. The resulting work provides input into the policies that govern how the fishing industry operates in a sustainable fashion that maximizes the net benefit to all stakeholders. When new Chief arrived at the SSB, and he immediately saw a situation in need of change due to the arrival of a new NOAA strategic plan, a new budgeting process, and renewed attention from the political arena on the work of SSB. In order to best position the social scientists for success, he embarked on a journey to articulate a clarified strategy, as well as the implementation of a new strategy execution process and culture. The end goal was to create an explicit, clear and shared strategic direction, to achieve transparency in branch management, to be more proactive and prepared for future, and to align their outputs (products) with their outcomes (results). Over the course of several months, SSB developed a clarified view of their customers and stakeholders, a highly focused vision statement, a complete strategy map of causally related strategic objectives, a set of initial performance measures, and a high level strategic initiative portfolio that clarified where they were allocating their scarce resources. Today, SSB runs quarterly strategic review meetings where the group addresses their strategic priorities through the lens of their strategy map and performance measures in a systematic and culture-shifting way. The results are being realized in a shared view of their strategy across all members of the organization. More importantly, they now operate with a common language regarding how strategic decisions are made and an understanding of the trade-offs made when shifting resources.